Over two thousand years ago a young woman by the name of Mary lived in the small town of Nazareth. Mary was to be married to a carpenter named Joseph. She was unaware of the significance of her life until one day an angel sent from God appeared before her. One day an angel appeared before her and told her she had been chosen to have a special baby. The baby was to be God’s son and she would name him Emmanuel. Mary told the angel she would do whatever God asked. Soon after the angel's visit, Mary and Joseph were married. Mary was due to have her baby when they were told they had to go on a long journey to Bethlehem, which was where Joseph came from. 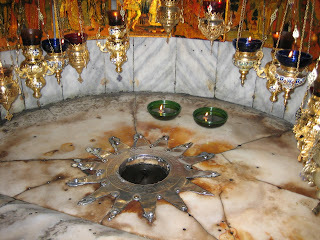 When they arrived in Bethlehem they did not have a place to stay because the inn there was full. The kind innkeeper told them he had a stable where the animals lived that they could stay in for the night. Jesus, God’s Son, was born that night. Mary wrapped baby Jesus in a small cloth and placed him in a manger of hay. That night there were shepherds staying in the fields nearby, gathering their flocks of sheep. Suddenly, an angel from God appeared before them in a bright light. They were afraid but the angel reassured them. He said he has brought them good news that will bring great joy to all people. He told them that the Son of God has been born today in the city of Bethlehem. The angel told them that they will recognize Him by this sign; he will be wrapped snugly in cloth, lying in a manger. The shepherds hurried to go to see Baby Jesus. When they found him in the stable in Bethlehem, they were filled with great joy at the sight of God’s Son. They kneeled before the baby and worshipped him. After seeing the baby, the shepherds told everyone what had happened and that the angel appeared to them and told them that Jesus was God’s Son and to be Savior of the World. The same night far away in the East, wise men were traveling on their camels when they noticed a very strange bright star in the sky. They knew that this star meant that the King of the Jews, the One who would save the world had been born. During the time that Jesus was born, a very mean king by the name of Herod ruled the land. The three wise men decided to go to the king to learn where they could find this special baby: the King of the Jews. When King Herod heard this, he got very worried as he thought this new king might take his throne away. King Herod called a meeting with all of the other important people in the area and asked them to find this special child so that he too, could worship this special baby. King Herod told the wise men to go and find this child. 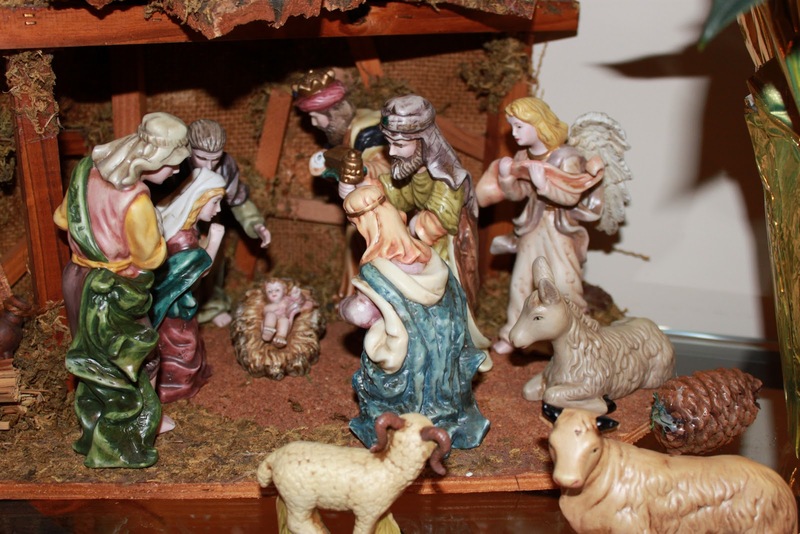 After they had spoken to the King, the wise men left to find the baby. They did not know where to find the baby, but at night they followed the star in the east. They followed the star until they found the very place the star hung over in Bethlehem. When they finally arrived, they were excited and happy. They found baby Jesus laying in Mary’s arms and they kneeled down and worshipped Him. The wise men brought gifts for Jesus of gold, frankincense and myrrh. Mary thanked them for bringing the gifts for Jesus and the wise men left to find a place to sleep for the night. As they were sleeping, they each had the same dream . The wise men were warned by an angel not to go back to King Herod and tell him about where they found the Jesus as King Herod had intended on killing him. The wise men returned to their country without going to see King Herod. Soon after, Joseph also had a dream where an angel told him to take Mary and the Baby Jesus to Egypt as King Herod was to order to have Jesus be killed. They left Bethlehem for Egypt immediately. When the wise men did not return to King Herod, he ordered that baby boys in Bethlehem be killed. They never found Jesus as he was safe.